If you require reliable and efficient transport to or from ferry ports, look no further than NW Cars, because we have provided such services for over 25 years. Being based in London, we are ideally located to provide ferry port transfers to the Port of Dover, Southampton, Harwich International Port, Newhaven Ferry Port and other seaports that are in the south of England. 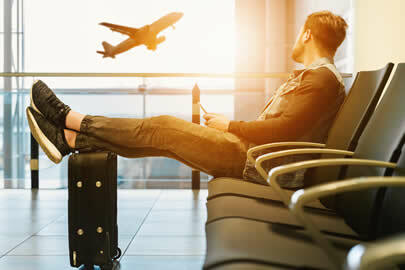 We are also able to provide transfers from airports to seaports, so for example we can transfer you from Heathrow to Southampton or from Luton to Dover and vice versa. The best part? We are competitively priced and our service is extremely reliable – so contact us today and get a free quote on +44 (0)208 452 3344. We operate London’s most reliable ferry port transfer service. We have a range of meticulously maintained saloon cars, estates and MPVs and we can cater to even the largest groups, so whether you are travelling alone or with family, we are the people to call. We offer ferry port and seaport transfers all-year round, and we operate 24/7 so we can get you where you need to be at peak times or when the roads are clearer. We are committed to delivering the very best customer service. From the moment you book your cab with us to the minute you leave your cab, you will be treated with the utmost respect and we are dedicated to providing the most reliable and efficient transfers around. Business users can get even more from our seaport transfer services too – business users can open up an account with us for even more competitive rates and get a dedicated account manager. There are also terrific savings to be had with group ferry transfers and you can book your cab online with us for maximum convenience. Contact us today on +44 (0)208 452 3344 for a free quote on your transfer.